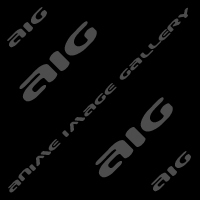 Welcome to GokuMew2's AIG - Anime Image Gallery. How do you like the new look? Since Xoom deleted my first account (too many images and uploaded copyrighted music), I had to start everything from scratch. I used to offer a few more images from other anime (DBZ, Pok�mon, etc), but I'm kinda lazy and it would take too much time with school and everything. If you would like to use any of these images on your own site, be my guest and use them. All you have to do is upload them to your own directory and link me. Please DO NOT link any of the downloads or images! Thank you for visiting AIG and I hope you enjoy your stay. Sign the Ayashi no Ceres Subtitled VHS Petition!! Click for more details. This site created and maintained by GokuMew2.